Should I Run a Timeline Contest or Use a 3rd-Party Contest App? 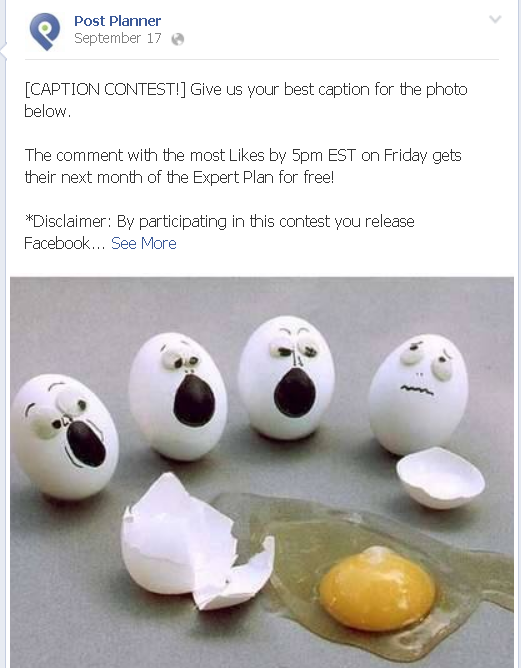 You probably know that Facebook lets you run contests directly on your Timeline now. You don't have to use 3rd-party contest apps anymore. According to the app companies, using apps is the better option. 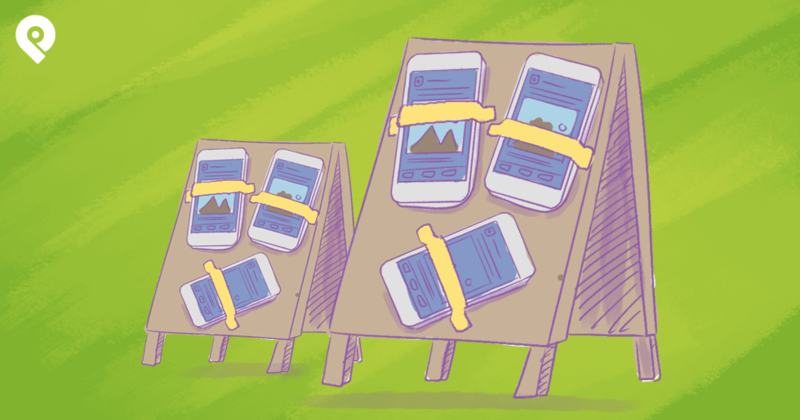 Their blogs have all published posts explaining how to run Timeline contests -- but also stressing the advantages of using apps. Obviously these companies have to worry about their bottom lines & selling apps, so of course they're going to recommend using apps for contests. But they may not be the most objective source of information. 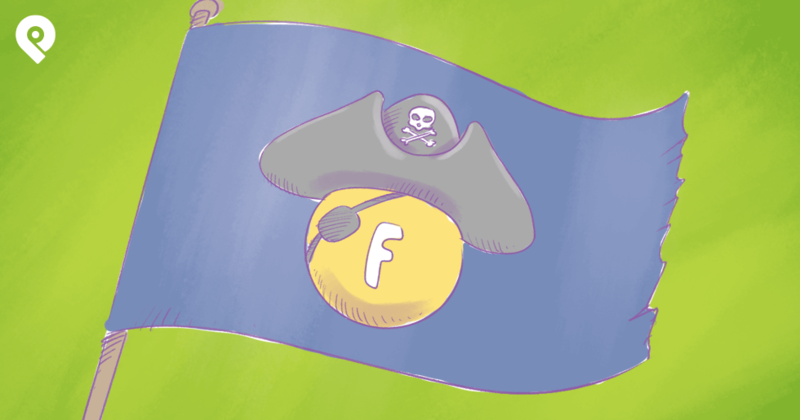 With Timeline contests, a page owner simply posts a status update containing the contest info -- and then participants have to Like or Comment (or both) to enter the contest. If you were Mark Zuckerburg, what feature would you add to Facebook? The response with the most Likes by 5pm today wins a $10 Starbucks gift card! 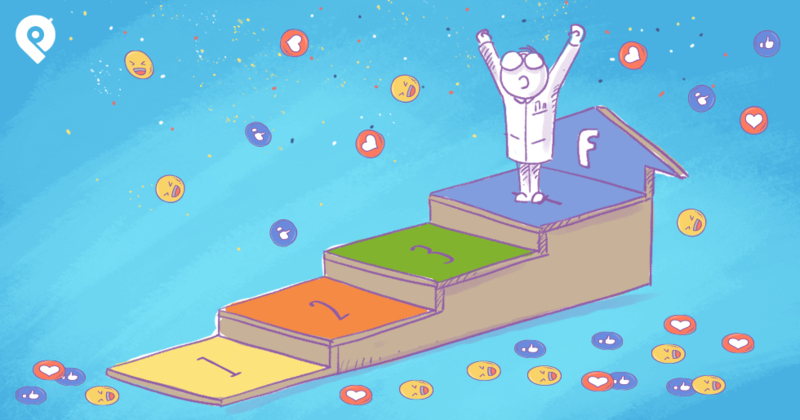 When Timeline contests were first given the green light by Facebook, a huge disadvantage of running one was the difficulty of choosing a winner. But the app companies quickly pushed out features & tools letting you pull Like/Comment data & randomly pick a winner. I recently wrote about 2 of these tools to use when picking a timeline contest winner -- one from Edgerank Checker & one from Woobox. I like the Woobox one better. Shortstack also has an app for choosing a winner (available to members only). And Tabsite has also introduced a free Timeline contest tool that I have yet to check out. You may also check out the tool from Heyo to run your contest. 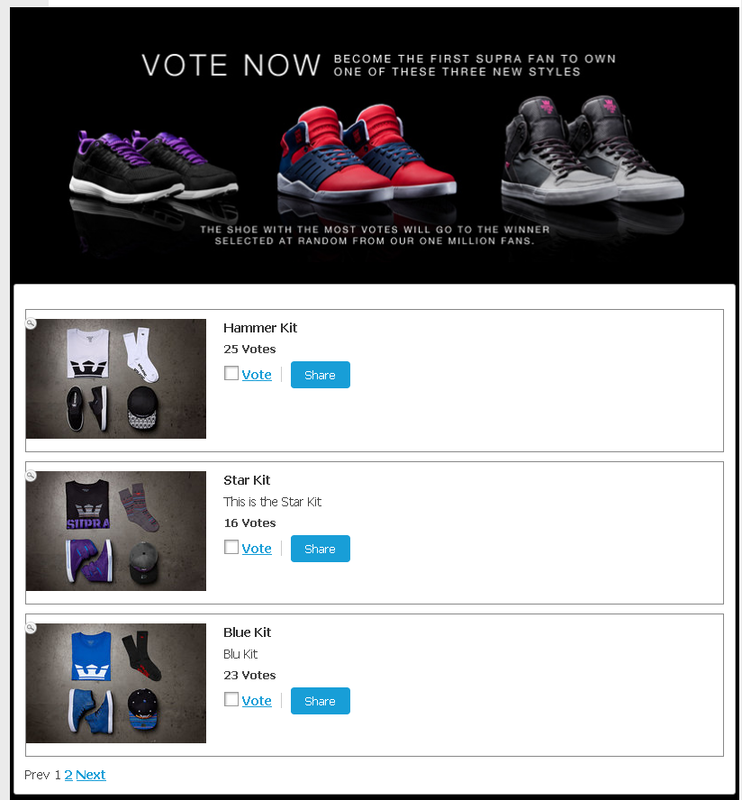 3rd-party app Contests are run through the "tab apps" you see on fan pages. I'm probably leaving a few out, but you get the idea. Integration with other sites -- Instagram, YouTube, Pinterest, etc. Requires use of an email list manager -- Aweber, MailChimp, GetResponse, etc. 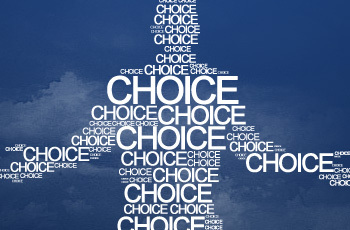 Many companies provide apps for you to choose from -- and each have their advantages & disadvantages. You'll need to do your own research to decide which one is right for you. 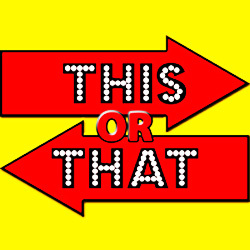 Which Contest Method Should You Choose? There's no right or wrong answer to this question. It all depends on your goals. 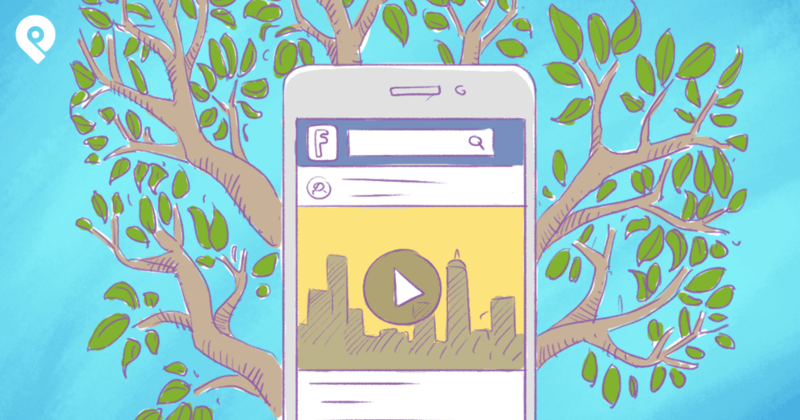 If you're looking to boost engagement on your page, choose a Timeline contest. If you have zero money to spend, choose a Timeline Contest. If you're looking to grow your email list & connect with entrants later, choose a 3rd-party app. 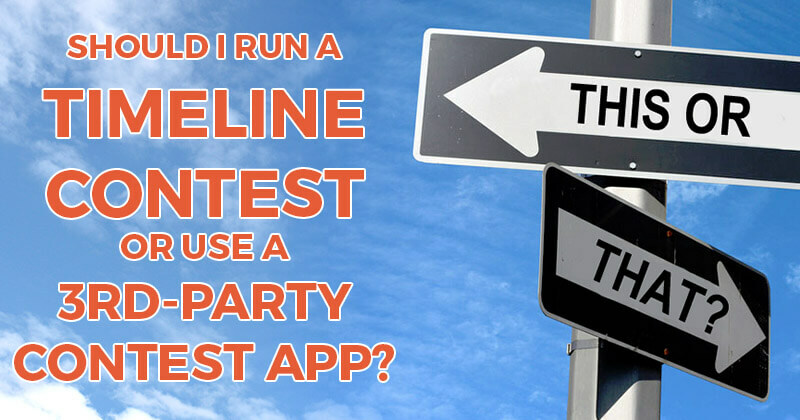 For larger companies, there's no question here -- use a 3rd-party app to run your contest. Larger organizations will have more potential for legal problems when running a Timeline contest. Using a 3rd-party app mitigates this risk. Also keep in mind that when running a Timeline contest, you still need to release Facebook in written form in the contest. Another option is to run a Timeline contest & then post the contest rules on the tab app, along with an additional entry form. To see the guidelines on contests, go to the Facebook page guidelines & scroll down to "Promotions".